Down $ 1 since Asia tops on US drilling data, weakening Chinese oil demand. Heavy volume on Shanghai crude futures weighing on WTI, Brent. WTI (oil futures on NYMEX) extends its retreat from two-month tops, correcting a part of last week’s rally, as Friday’s bearish US drilling report and looming US-China trade war concerns continue to dampen the investors’ sentiment. 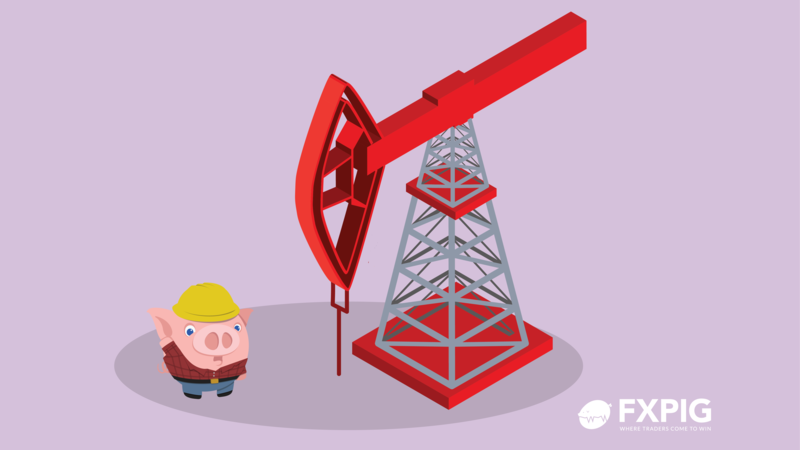 The number of rigs count in the US rose to a three-year high of 804, implying further rises in production and re-igniting oversupply concerns, the latest Bakers and Hughes oilfields services data showed. Additionally, weakening crude oil demand in China combined with the launch of WTI’s rival crude oil futures contract on the Shanghai exchange also collaborated to the declines in the black gold. Reuters reported that “Shanghai crude oil futures debuted strongly in terms of volume as investors and commodity merchants bought into the world’s newest financial oil trading instrument”. Focus now remains on any updates on the US-China trade issues ahead of the weekly US crude supplies report from the US for fresh direction on the barrel of WTI. At $ 65.47, the resistances are aligned at $ 66 (round number), $ 66.54 (2-month tops) and $ 67.08 (classic R2/ Fib R3). On the flipside, the supports are located at $ 65 (psychological levels), $ 64.14 (Mar 22 low) and $ 63.84 (10-DMA).